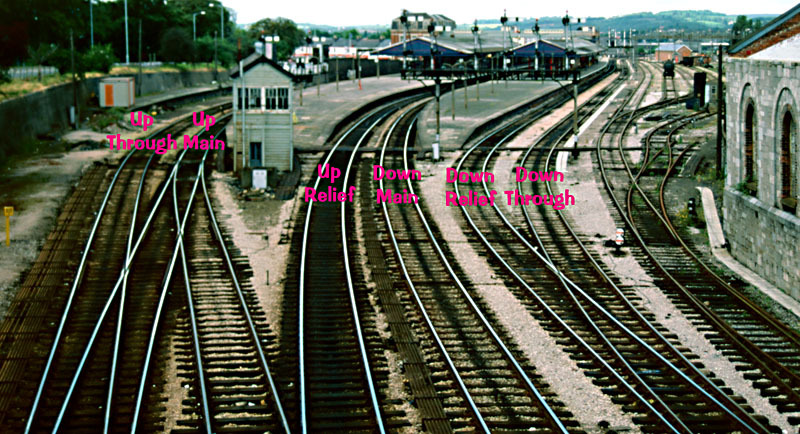 The country end of Newton Abbot station. I have labelled the running lines here to clarify things. The down homes. The connection from the down through/relief to the down main had been removed since my previous visit (see below). 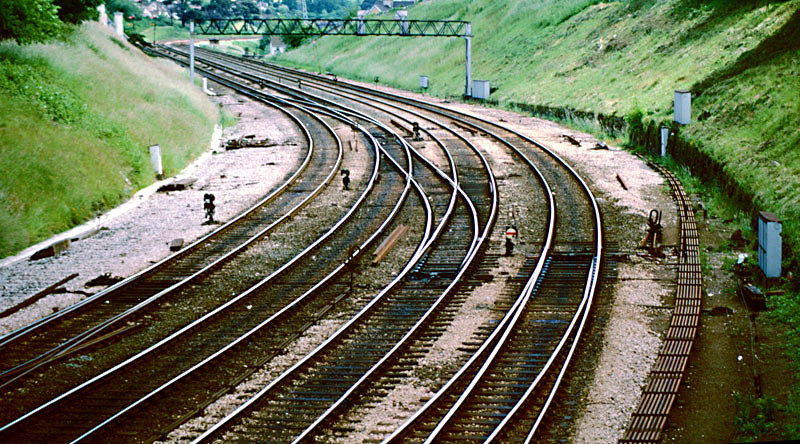 The approach to Newton Abbot from Aller Junction, with West's down starters in the foreground and the colour-light up homes beyond. 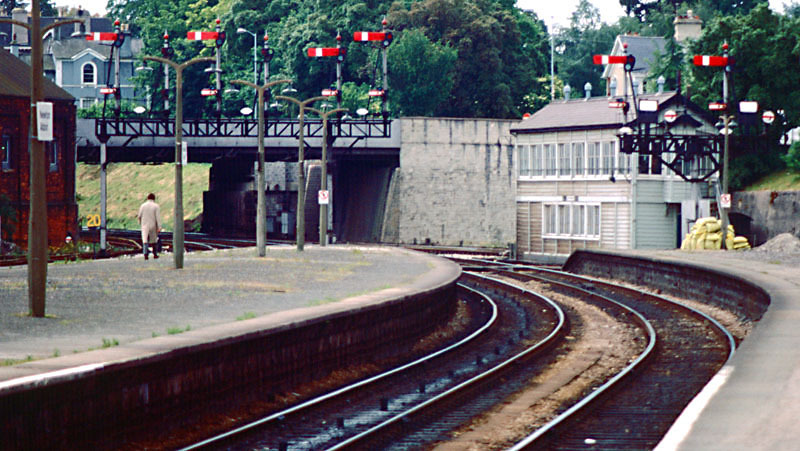 The view back towards Aller Junction, showing the crossings immediately beyond the station and the same signals as in the photo above. 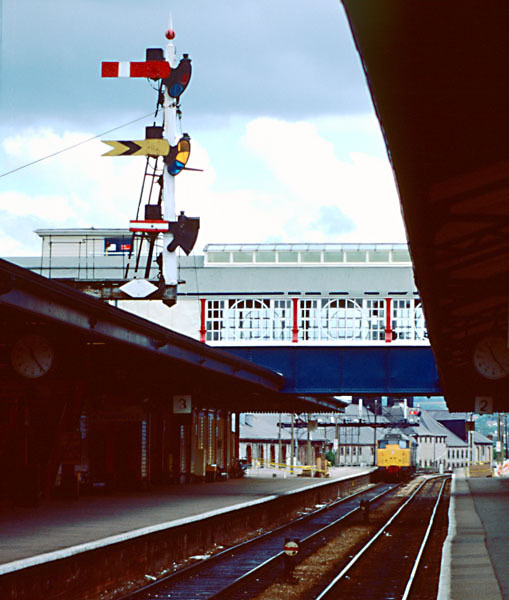 The up relief starter, with Newton Abbot East's inner distant and a calling-on arm beneath. 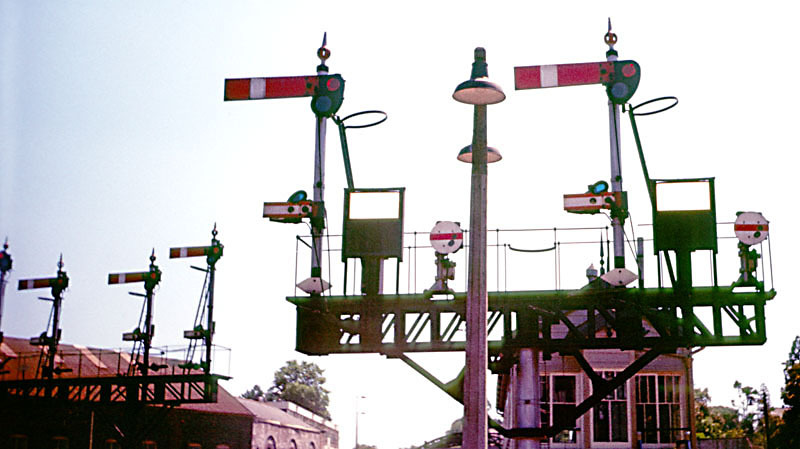 There was originally a trailing crossover under the station footbridge; the discs had been retained to allow wrong-road moves to be signalled between the boxes. 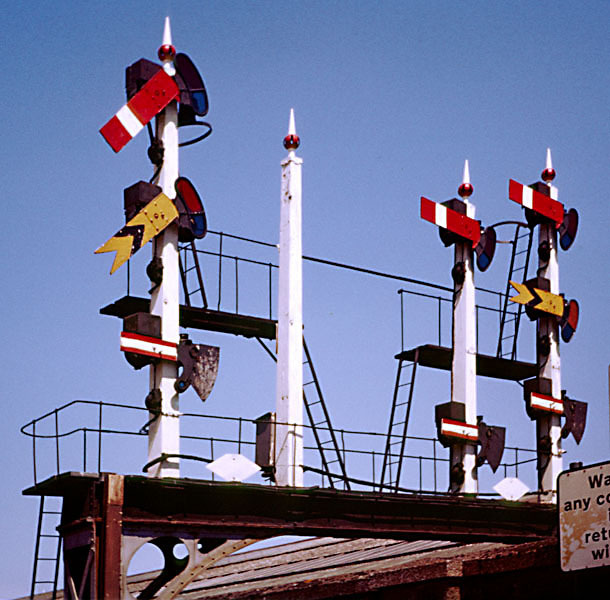 The down homes gantry when it still had all its arms. The up through and main starters. 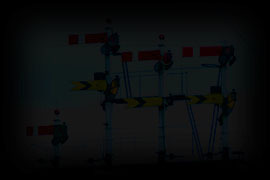 This gantry was also in the middle of the station. 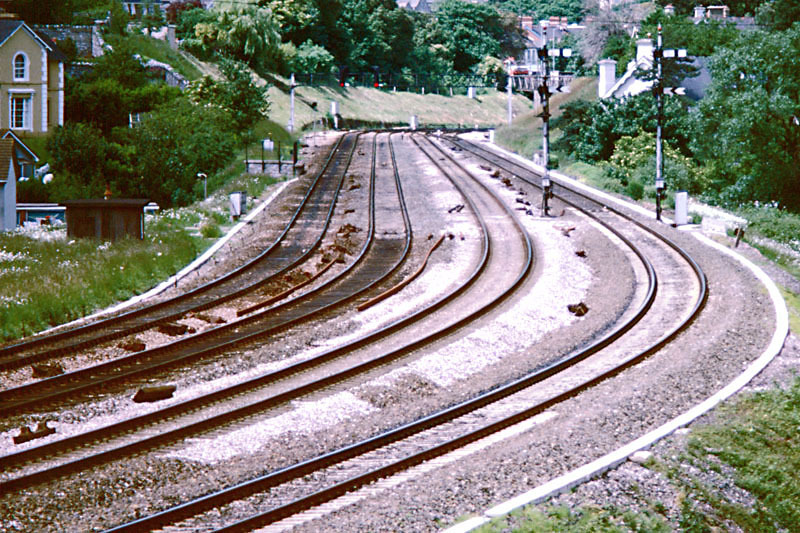 By this time, a scissors crossover had been reduced to a single connection from the main line to the through. 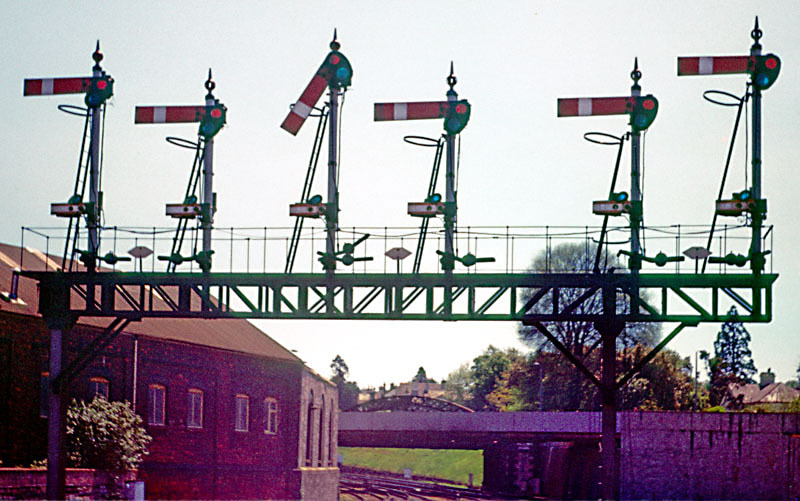 A closer shot of the home signals for reversing moves out of the up (relief and main) platforms.